This is the latest in our “Inside the Stack” series featuring Underdog.io customers. This week, we hear from Martin Melin, U.S. Head of Engineering at Tictail. Martin and his team are hiring engineers and also filling a number of business roles in New York and Stockholm. Tictail has hired one “amazing engineer” via Underdog.io; the team is excited to hire more. Describe Tictail in 2-3 sentences. Tictail helps people all over the world turn their passion into sustainable businesses. We’re making the world’s most used and loved ecommerce platform. We use software to teach people how to run a successful business. What are your primary programming languages? What are your primary web frameworks? Why did you choose them? We use Flask since we appreciate being able to put services together from well-crafted individual components instead of using a framework like Django. What are your primary databases? Our primary datastore is a pair of Amazon RDS instances, one MySQL and one Postgres. The story behind that is simple: we all prefer Postgres, but when we got started Amazon RDS only offered MySQL and we didn’t want to commit to maintaining a Postgres instance ourselves, so pragmatism prevailed. Slowly but surely we are transitioning services away from the MySQL instance and into Postgres. Which DevOps tools do you use? We run everything in AWS with configuration managed by Chef. Combined with Auto-Scaling Groups and our own flavor of internal service discovery using HAproxy and Consul, we can bring new servers online in a few minutes and deploy entirely new backend services in a couple of hours. Which part of your stack are you most excited about and why? Tictail launched three years ago in Stockholm, Sweden, with four engineers, one hastily written Tornado application and some Backbone.js views on a few manually managed Amazon machines. 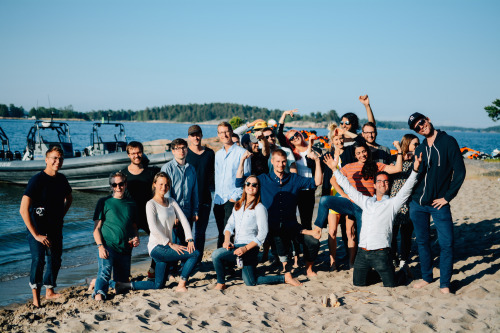 Today, we’re 20 engineers across Stockholm and New York, with an auto-scaling service-oriented architecture, a third-party app platform, and almost every part of the original product replaced by something better. We got here without the infamous “big rewrite” by trying to make things slightly better every day. Amazing things happen when your colleagues are smart, motivated and feel a sense of ownership. So the part of our stack I’m most excited about is the people! Thanks to Martin and the whole Tictail team for a great post. 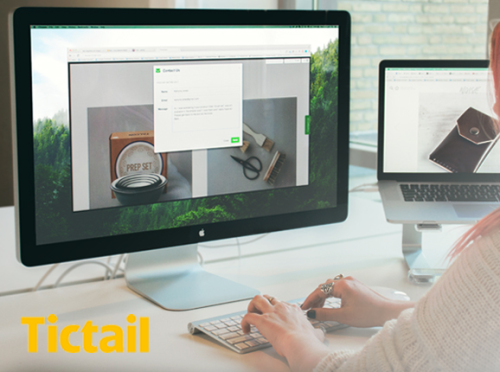 Visit tictail.com to read more about the company and to see their technology in action. Companies: email josh@underdog.io if you’d like to be featured in this series.